Housing affordability is one of the most important issue for voters this Australian election. Problem is, the major parties don’t want to talk about it. According to Auspoll, 84% of Australians believe housing affordability is an important issue, compared with 68% who want cheap high performance broadband. But in spite of voters wishes for greater housing affordability, the issue is kept it off the media agenda. Why? Because the housing shortage was created by our political class. In 1967, the average annual income was $2,964 and the median house price in Melbourne was $9,400; the income to house price ratio was 3.2 to 1. Contrast this with 2010 where the annual income was $51,610 and the median house price in Melbourne was $555,000; the income to house price ratio was 10.8 to 1. Is it any surprise we’re complaining? Wages have not kept pace with the increasing cost of housing. We have been in a period of wage stagnation since the 1980s. Real wages under Labor declined by 1.53% from 1983 to 1992. That certainly has not helped affordability for the working classes. Wages turn out to be the thing that buys goods, so if wages decline, the only way to overcome the problem of real demand is to increase the credit economy – as is reflected in the explosion of household debt from 1987. There is also an intergenerational dimension. Unemployment for those who are aged 15 to 19 and are not in schooling is at 25.1%; there are few unskilled jobs openings. Other segments of Gen Y do not have it any easier. 1 in 5 people aged 15 to 24 in Melbourne’s west are looking for jobs that aren’t there. Furthermore, 24% of undergraduates cannot find jobs after they graduate. The unavailability of entry level jobs makes it difficult for a Gen Y to get a foothold in the housing market. 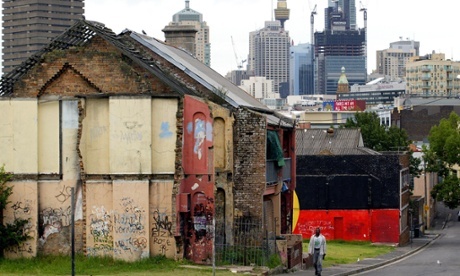 This is the first generation to never have a growth of public housing in their time. Nor is it easier for those who receive some form of government assistance. Students at universities are expected to pay a ridiculous amount on rent while studying full time. The ANU has allowed a private company, UniLodge, to use its land to build accommodation for 1,500 students, charging them $238 a week in rent. UniLodge was funded through the Labor government’s National Rental Affordability Scheme. Youth Allowance is only $407.50 a fortnight. finally, there are also more than 105,000 people who are officially homeless in Australia – which is the most extreme measure of the lack of housing. Government policies of both political parties have left us in this mess. The astronomical housing prices are caused by a lack of supply of housing. We know we had a significantly more affordable housing 40 odd years ago. But how did the shortage appear? And who does the shortage benefit? You can blame the government for refusing to play an active role in the provision of housing. Between 1996 and 2007, the number of public housing shrank by 32,000 while the population grew by 2.8 million. There are 173,000 people on public housing waiting lists. Only 5% of Australian housing is public, compared to 20% in the UK. Most the public housing we have was built between 1945 and 1980 when the Commonwealth State Housing Agreement provided Commonwealth funds for returned soldiers, war widows, new migrants and other locals. This kept housing prices around that 3 to 1 income to house price ratio. The agreement ended in 1996 under John Howard. When governments stopped funding, new social housing prices exploded. This was exacerbated by privatisation of housing stock held by state departments by both Labor and Liberal governments. Both sides of politics have since the 1980s slashed housing budgets and sold off property. Furthermore, both parties have held off from releasing land, creating a shortage. This decreases supply and increases prices. Those who benefit from the higher real estate prices are the banks that finance mortgages with larger premiums higher interest rates over a longer period of time, and developers who enjoy much larger profits. The policies which are claimed to make housing more affordable – like the first home buyers grant – do nothing but enter more people into mortgage. The grant shrinks the deposit gap, allowing more people to access mortgage to enter the housing market. This encourages banks to loan to customers who would otherwise not be able to afford a loan greater amounts of money in the bank’s pecuniary interest. This binds workers to a ridiculously high debt. It is a helpful reminder than the two major parties’ pay masters have a say in the matter of keeping Australians hocked up to their eyes with debt. In 2011-12, banks donated $1,702,536 and property developers $513,113. This is compared to unions at $200,000. Who do you think has the ear of power?